It has a camera mount! The Scout Expedition is designed to carry out a mission, to seek out new territory and explore places never seen before, for a very long time. 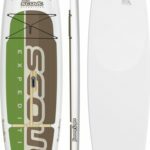 With its increased volume, it can handle the extra weight of all the extra gear you want to have for a long-term expedition. It even has a built-in camera mount so you can easily be taking pictures while focusing on what’s important. Depending on your weight, it can hold over 100lbs of extra gear, enough to keep from having to return for several days – maybe even a week. Great for covering long distances and handling a medium amount of chop. It’s heavy, so once it gets going, it stays going, which also makes turning it a bit of a power struggle. It reaches 11’6” and can hold up to 275lbs with its 221 liters of board volume. It weighs 34lbs and is 32” wide. It has a 5” nose rocker and a 3” tail rocker. It has a slight displacement in the nose. It comes in brown and green. And it comes with a center fin, two side fins, fin hardware, a 10’ coil leash, spare vent cap and a board bag. It’s designed perfectly for going away on long trips where you’ll need to bring all of your survival gear. It’s made to be extra strong so you can focus on your mission instead of worrying about your ride home is going to fall apart. It’s also a great board for piling the whole family on and having a fun day at the beach. Not a good board for larger surf. It can manage on small waves but it’s too long and heavy to handle the speed that comes with big waves. 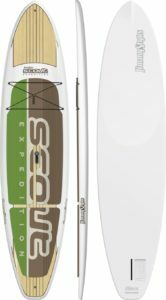 Great for paddling around the bend for a secluded camping trip. It can go far distances with ease, opening up possibilities for places to see. 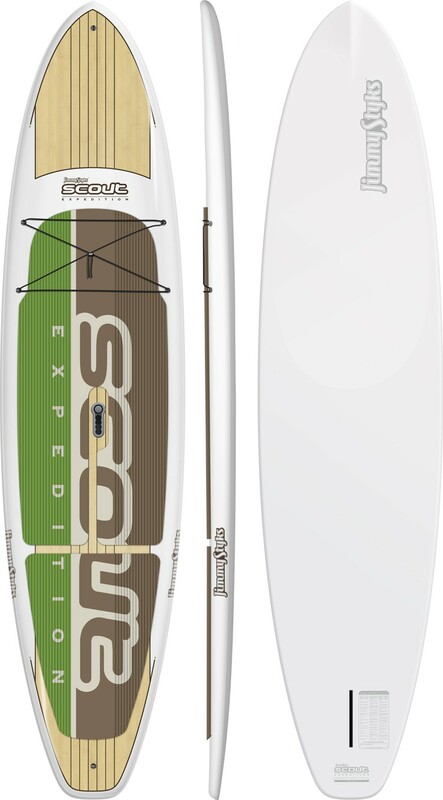 Use it on small mellow surf days or as an ultra-stable board to learn the basics of SUPing. Caution: the board is heavy; if you are thinking of using it as a beginner board, make sure you can get it to the beach, and try not to land it on anybody’s head!